Do I need to contact you to inform you that I have submitted my application to First Visas? 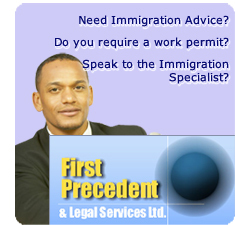 It is not necessary if you have allowed sufficient time to obtain your visa, e.g. 2- 4 weeks, and for certain countries this may be longer. Otherwise it is advisable to call to check availability. Some destinations are popular, so it is advisable to contact us for availability. What happens when you receive my passports and supporting documents? We will either email or phone you to confirm that your documents have been received at our office. An immediate application will be made to lodge your passport at the embassy you have requested. Depending on the processing times,required by the Consulate Office, your passport and documents will then be collected and despatched to you using Royal Mail Special Delivery Service. How long will it take you to apply for a visa on my behalf? This depends on the recommended processing times stipulated by each Embassy. In most cases we require at least 2 weeks notice, and longer at peak travelling times e.g. Easter, Summer Holidays & Christmas. We normally advise our customers to send in applications at least 4 weeks before their expected travel date. Some European destinations are very popular, and due to limited allocated slots it is advisable to submit orders early to avoid disappointment. Please note that for some embassies require a longer processing for certain nationalities and you should allow for this. I need a visa to travel urgently? You should check the visa requirements for the country you intend to travel to see if same day processing service is available. You can also contact us either by phone or email first to check if we will be able to arrange to lodge your passport before your travel date. Additional fees are required for same day processing. Is it guaranteed that I will receive a visa? No. We can not guarantee that you will receive a visa. When can I contact your visa help line? I need my documents sent by courier, can you arrange this? Yes. Please call or email us and we will be happy to arrange this. Payment on account will be required before arrangements can be made to have the documents despatched by this means, unless you are an account holder. Suppose I decide I want to cancel my application? If you decide to cancel your application, after your passport has been sent, you will need to notify us before your application has been lodged. Please supply a SAE to cover the cost for the return of your passport and documents. If you decide to cancel after your application has been lodged, then our full fees will still be due.